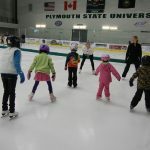 The Plymouth State Skating Academy’s 9th annual recital is Saturday, April 6, at 6:30 and it is open to the public. Tickets are available at the door, $5 Adults and $3 Youth K-12. The skaters, ages 3 through adult, are excited to demonstrate the skills they have learned this year performing to some top songs inspired by the ever changing weather. PSSA proudly participates in the Learn to Skate USA program, endorsed by U.S. Figure Skating, USA Hockey, US Speedskating, and the Special Olympics. 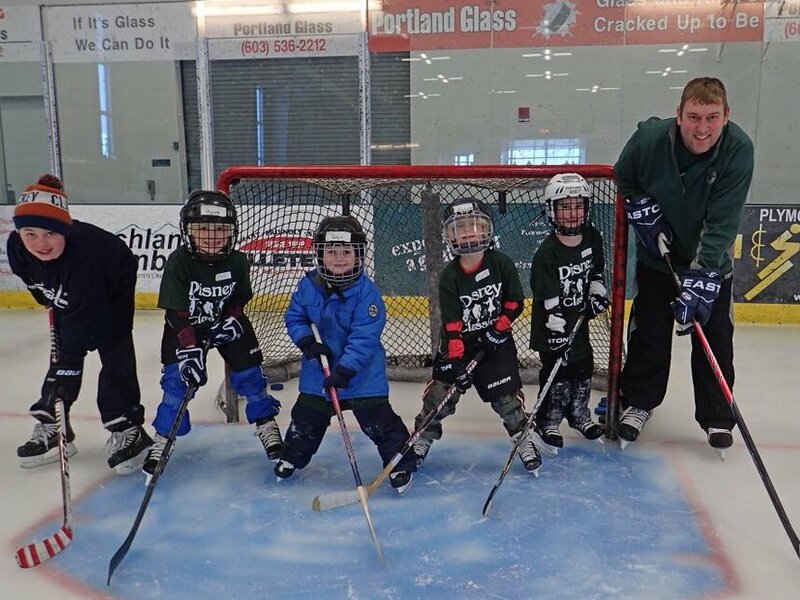 PSSA offers group lessons in figure skating and beginner hockey skills for participants ages 4 years old through adult. As members of Learn to Skate USA we offer high quality instruction, cutting-edge curriculum, and a bridge to testing and competition. Most importantly, PSSA offers a fun, supportive community to both challenge and reward our skaters. All Learn-to-Skate USA memberships run from July 1 through June 30. All skaters, returning and new members, must register for the 2018-19 season with LTS-USA. Click Here to Register for Lessons! $10 Discount for additional skater/s from the same family. Saturdays, February 23 to April 6 – SHOW SESSION – Show April 6! The ice surface is divided with the youngest beginners at the entrance end, more advanced skaters in the center section, and hockey skills at the Zamboni end beyond the safety barrier. Learn to skate groups will have a 30 minute group lesson and 30 minutes to practice; maximum group size of 10 skaters per coach. Additional staff assistance is available for the tot levels. During the last half-hour, skater practice time, one parent may join their Snowplow Sam skater on the ice. Learn to Play Hockey: This entry level class will teach the fundamentals of stick and puck skills. Skaters must be able to skate at the Basic 2 level before transitioning to the hockey lessons. Skaters registered for hockey will be assessed by coaching staff at the first class and will be referred back to the learn to skate classes if they need more training on their basic skating skills. USA Hockey endorses the Learn to Skate USA and all hockey skaters must register with Learn to Skate USA. Skaters will need to have a certified hockey helmet with face shield and their own hockey stick to participate. Basic Skills 1-6, Ages 7 & up: Basics 1-6 begin to teach the fundamentals of the sport, such as forward and backwards skating, three turns, mohawks, edges, and crossovers. Levels 4-6 begin to incorporate beginner jumps and spins. Helmets are highly encouraged. Freestyle, Pre-freestyle and freestyle levels 1-6 are divided into four sections: moves in the field, spins, dance/footwork sequence, and jumps. The free skate levels are designed to give skaters a strong foundation on which to build their skills. This is the point where the skater can choose whether to pursue a recreational or competitive approach to the sport of figure skating. 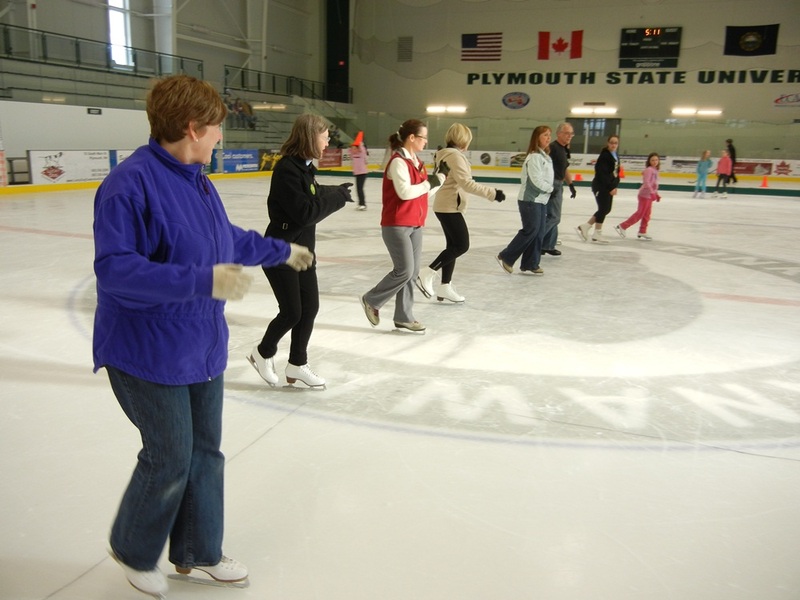 Adult 1-6, The adult curriculum is designed for the beginner adult skater. It will promote physical fitness and improve balance and coordination while teaching proper skating techniques. Divided into six levels, adult skaters will progress at an individual rate while being challenged and motivated. This is an exciting new program for people who look to skating as an enjoyable part of a fit and healthy lifestyle. Helmets are encouraged for all beginners. Email psu-icearena@plymouth.edu or call 603-535-2SK8 (2758) with any questions.